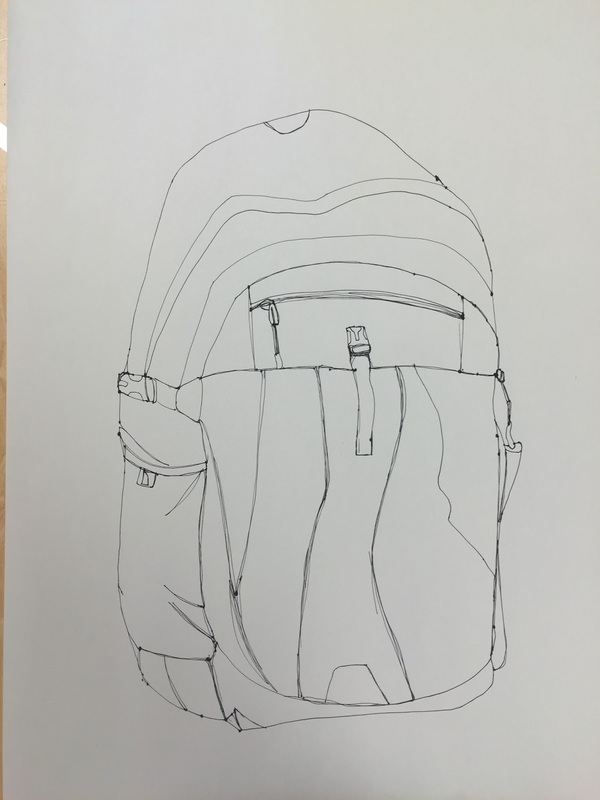 For this exercise the class drew a contour drawing of their backpacks in pen. 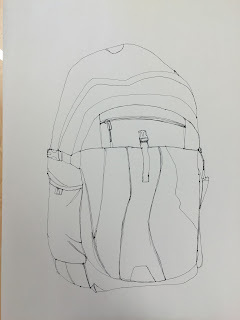 Including all the detail on the backpack was difficult because of course you couldn't lift your pen. I lifted my pen more than I should have and I still didn't get as much detail as I would've liked to in my picture. I think if I wasn't so focused on making the picture look neat and perfect I would've better achieved the detail I was looking for.